To effectively trade cryptocurrency you should have a reliable cryptocurrency exchange that can facilitate your trading needs. Liquid is a cryptocurrency platform with top security. We store all of your assets offline, which is the safest way cryptocurrency can be stored. You can sign up quickly and easily and start trading as soon as your have deposited. You can even fund your account straight from your bank account. Once you have created an account on Liquid, before you can start trading you must fund your account. To fund your account, deposit either fiat or cryptocurrency into Liquid. When your account has been successfully funded you can begin to trade. Head over to the exchange. On the exchange choose the trading pair you would like to trade. This will depend on what funds you have in your account. For example, if you have Ethereum in your account and you want to buy Bitcoin, choose the ETH/BTC pair. You will normally need to have a major cryptocurrency like BTC or ETH in order to make a trade, although on Liquid we also offer trading pairs with QASH, as well as some fiat currencies. Once you have selected your trading pair, choose whether you want to buy or sell. Next you must enter your price. Base your price on the order book. If you are selling, you can instantly sell to a buy order if you enter the same price. Alternatively, you can enter your own price and it will create your own sell order, which will appear in the order book. Enter the amount you want to buy or sell and confirm the trade. Now you must wait for your trade to be filled. As long as your price is close to the market price, which you can see at the top left, your trade should be filled quickly. If you have entered an unrealistic price your trade may never be filled. To learn how to trade cryptocurrency, you need to know which type of trading you are going to use. There are two main types of trading for you to choose from, either spot trading or margin trading. Spot trading is the most common type of trading - it's where you are able to purchase or sell cryptocurrency instantly with funds that you have readily available in your account. You can use spot trading to trade one type of cryptocurrency into another instantly. For beginners, spot trading is recommended. Additionally, if you are simply looking to trade one type of cryptocurrency in order to obtain and hold another, spot trading is what you are looking for. Margin trading is more complex, and not all exchanges offer it. Margin trading is essentially betting on whether the price of a certain cryptocurrency is going to go up or go down, while borrowing funds to do so. There are two options when margin trading, long or short. Long is when you believe the price will increase. When you enter a long position you borrow funds from an exchange to increase your buying power, or leverage, allowing you to make more profits from your trades. When you believe the price will decrease. When enter a short position you borrow an asset from an exchange and instantly sell it, hoping to buy it back later at a lower price to make a profit. Trading strategy also falls under the umbrella of knowing how to trade cryptocurrency. Knowing which cryptocurrencies to trade at which times by using indicators can help significantly. Furthermore, employing risk management techniques will help substantially for mitigating errors. To learn about in depth trading read some of our trading blogs. Liquidity is a term in trading that refers to how ‘liquid’ the market is. If a market has good liquidity it means there are a lot of buy and sell orders, and the distance between the best buy and sell order, known as the spread, is small. The inverse is true for a market with poor liquidity – these suffer from a lack of buy and sell orders, and a large spread. Liquidity is important in any trading market, cryptocurrency included. When you are looking to buy or sell an asset, in a liquid market you will be able to buy at the market price with no problems. On the other hand, if you are trading in an illiquid market you will may across issues in getting a good price. More liquidity = a more healthy market = better for you, the trader. 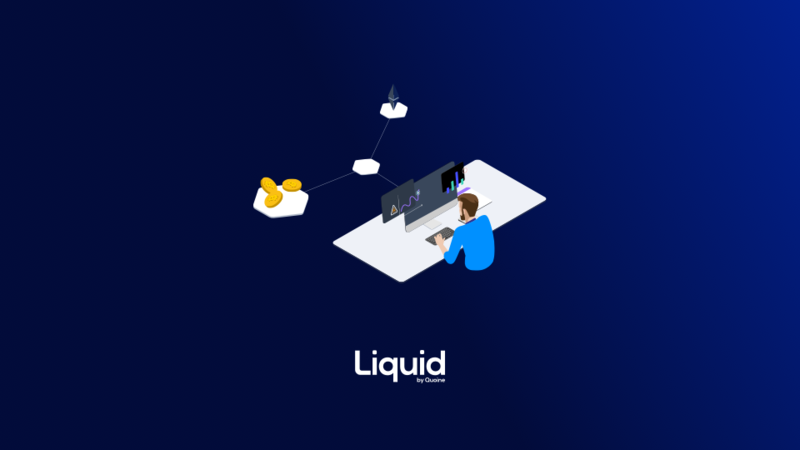 Our exchange, Liquid, is designed to provide the cryptocurrency market with much-needed liquidity. We have built technology that allows liquidity to flow between trading pairs. If you are new to cryptocurrency and are looking to learn how to trade cryptocurrency, Liquid is the platform for you. Technical analysis uses indicators, support and resistance levels, and chart patterns to determine when the best time to buy and sell a certain asset. Therefore, when you are learning how to trade cryptocurrency understanding technical analysis is invaluable. A support level is a certain price where an asset, for example Bitcoin, has a strong buying pressure that "supports" the price. What this basically means is unless there is a massive selling pressure, prices are expected to stop dropping at levels of support. Similarly, a resistance level is the opposite of a support. It is a level identified where there is a strong selling pressure, so resistance price levels are normally expected not to be broken unless there is a clear upward movement. It can be hard to identify key support and resistance levels, but if you master it you will be able to factor them into your trading strategies. There are a number of chart patterns you can utilize to help your trading. Understanding chart patterns can get fairly complex. It doesn’t help that on one chart there can be multiple patterns, some of which are telling you to buy and some to sell. There is a lot to learn if you want to use chart patterns to tell you how to trade cryptocurrency, but they can add a lot of value to your trading strategy. Mathematical indicators are also used by traders to improve their trading. Don’t worry, you don’t need to do the maths, the charts do it for you. Indicators can be used to view price strength, resistance or support levels, direction, volatility and much more. There are many indicators that are calculated through mathematical formulas that take into account price and volume action over time. Indicators do exactly what the name suggests, they indicate how you should trade. Some examples of popular indications include Relative Strength Index (RSI), Simple Moving Average (SMA), and Moving Average Convergence Divergence (MACD). Taking the time to know how to use indicators can be a great step towards knowing how to trade cryptocurrency effectively. Fundamental analysis is the evaluation of an asset based on its intrinsic value. This involves taking a deeper look into the asset at anything that could affect valuation. Cryptocurrencies are often evaluated based on the team behind the project, the real use case of the crypto or partnerships. Understanding how to conduct fundamental analysis can significantly help you on your path towards learning how to trade cryptocurrency effectively. Fundamental analysis is important because you can use information about a crypto project's performance to anticipate future price action. It is best to use both fundamental and technical analysis together to capture the insights you need for your crypto trading. Some trades are longer than others. If you have invested in a cryptocurrency based on your own fundamental analysis and you are looking to hold, make sure you keep your funds safe. Store your funds offline, and keep your security levels high. Read about how we keep crypto assets secure on Liquid.